Are you tired of your applications occupying an excessive amount of space? Well, you now have a practical solution to drastically reduce the amount of Megabytes consumed unnecessarily by the aforementioned applications, releasing space on your hard drive. It's called: Xslimmer. 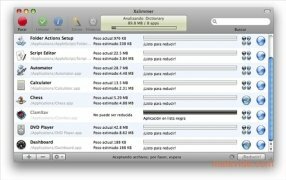 Xslimmer is a practical application that manages to reduce the amount of space on your hard drive your programs require once installed, eliminating all the files that are unnecessary for it to work. It is an excellent solution to obtain more space on small hard drives, or those that have vast amounts of programs installed on them. 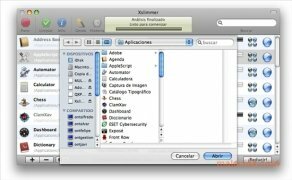 The key of how Xslimmer works consists in eliminating the surplus code, depending on the kind of Mac that you have, this means, that if you have a Mac with Intel, it will eliminate the code that is necessary for PowerPC, and vice-versa. Nevertheless, as a precaution it is convenient to mark the "Backup reduced applications" option to avoid the unpleasant surprise of an application malfunctioning. 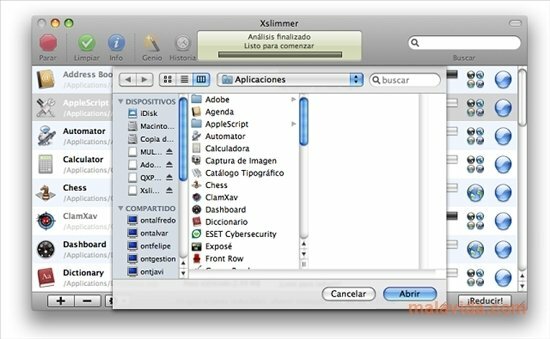 Put your Mac on a diet, with Xslimmer! The trial version limits the amount of space that can be freed.